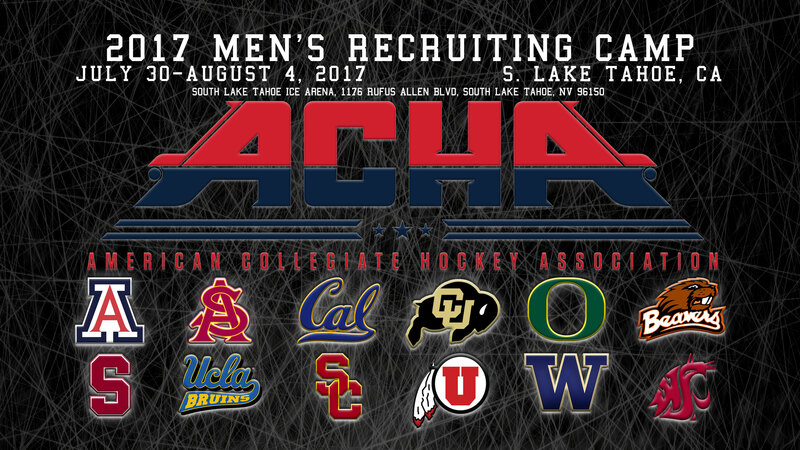 The PAC-8 Hockey Conference is proud to present their 3rd Annual College Men’s Recruiting Camp for the 2018-19 Hockey Season in beautiful South Lake Tahoe, California from July 31-August 4, 2017. The recruiting camp is open to any high school hockey player. However, it is designed for High School players entering their final season to exhibit their skills on the ice and be matched with a ACHA Division 1 or Division 2 Hockey Program that meets their Academic and Hockey Goals. Once matched with a program, they have the appropriate amount of time to begin and complete the admission process for the program they have matched with. -When a player is selected by a team, and agrees to commit (aka matched), he/she is guaranteed a spot if he is admitted to the school for the following Fall Semester.